International competition drives schools and universities around the world as never before, and an increasingly complex world places more demands for evidence of qualifications and standards. Clashes with constraints of state funding created enormous pressures and educators struggle with their own skills and approaches. New technology, such as massive open online courses (MOOCs), threatens to disrupt the foundations of traditional ‘chalk and talk’. More than half of the Eurozone’s young workers are in temporary jobs and the UK seems to have a talent mismatch between skills on offer and what employers need. Amidst the challenges, the changes, and the confusion, what can be done? How can medieval-type apprenticeships become an increasingly important part of a modern answer? The Lord Mayor of the City of London, Alderman Dr Andrew Parmley, will explore the historical background to apprenticeships, their importance over the centuries, and their relevance to the future. He will set out how apprenticeships can rise to the challenges of modern education in a modern society, provide training for working life, and benefit apprentices themselves throughout their lives. 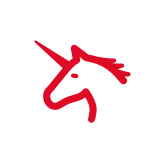 You can read more about the City of London&apos;s The City&apos;s Business programme here, which looks at how businesses can support young people to develop skills for work. 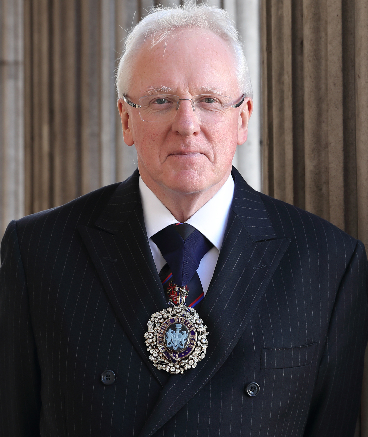 Alderman Dr Andrew Parmley was elected Lord Mayor of the City of London on 29th September 2016 and will take office as the 689th Lord Mayor on the 11th November. Andrew was born in Manchester and grew up in Lancashire. He was educated at Blackpool Grammar School, the Royal Academy of Music, at Manchester and London Universities and Jesus College, Cambridge. Dr Parmley has had a career in the business end of the education sector. He is the City Champion for the Prime Minister’s Apprenticeship Delivery Board (which will create three million apprenticeships over the next five years) and is the Principal of Senior School of The Harrodian School in West London. Andrew has interests in educational technology, particularly the creation of Virtual Learning Environments (VLE), in FinTech and in cybercrime, having spoken at the Cambridge International Symposium on Economic Crime. Andrew is the London Symphony Orchestra’s International Ambassador, a Visiting Professor of the Guildhall School of Music & Drama, and he holds an Honorary Doctorate from Strathclyde University in recognition of his work for the City of London and the financial contribution of the arts. He has served as the Chairman of the City of London School for Girls and the Guildhall School of Music, both leading UK academic institutions. He was, until recently, the national Chairman of Montessori in the UK, representing some 700 schools. At the Harrodian School, Andrew has been instrumental in developing a multi-million pound business and recently opened two new schools - with a further three planned in the near future. He has worked closely with The Global Education and Leadership Foundation (tGELF), based in Delhi, and the Transcontinental Schools Innovation Alliance (TSIA). Politics, Education, or Reality Television? I am delighted to see so many of you here today, I’ve been told that this lecture “sold out” (which is quite surprising as tickets are free) at a record pace and left some disappointed- let’s hope you’re not amongst them in an hour’s time. Who knew that my northern drawl would appeal to so many? Who am I kidding? It’s not me you are here to see. I know you have come to hear the fascinating history of Apprenticeships. And you are not the only people with an interest in Apprenticeships. Indeed the 45th president of the United States used to host the American version of “The Apprentice”. More “you’re tweeted” than “you’re fired”. So, the Apprentice- Reality Television, Politics or Education? The first thing I would like to do is get an idea of who is present today. Could you please raise your hand if, like me, you are a Teacher? Fantastic! It’s good to see that we have such a diverse audience! And what an excellent location in which to host you all here today. Some of you will know that the City of London is linked very closely to the Apprenticeship movement. Indeed, the Guildhall Library, just across the yard, has an excellent pre-1800 Apprenticeship resource, where you can learn more about different types of Apprenticeship – common in London over two hundred years ago. Many people also use this resource to find out about their ancestors – and if you have an interest in this area, then please do visit the library and have a browse. One thing you will most certainly discover, is that The City of London’s Liveries and Guilds were at the centre of formal Apprenticeships in the 1700s and 1800s. At the time, London’s 85 Liveries (or trade associations) acted as regulators of the London Apprenticeship market and used Apprenticeships to ensure their trades received the skills they required. The Livery companies were the driving force of Apprenticeships in London and assisted in making it a centre for training; with London, not surprisingly, hosting the highest proportion of Apprenticeships in the UK in the 1700s. It was estimated that one in six men (note, ‘men’ not ‘women’) in England had lived in London at some point in their lives because of the various Apprenticeships available. Thanks to this rich history, the Liveries continue to promote Apprenticeships today through the Livery Companies Apprenticeship Scheme. Apprenticeships have come a long way since The 1563 Statute of Artificers introduced the medieval craft guilds and the first national Apprenticeship system of training. At this time, Apprenticeships were not always voluntary. Instead, they were often considered a transaction between the parent and the skilled craftsman, who was appointed to teach a person from childhood. I’m sure current apprentices would be shocked by the conditions in which their predecessors lived and worked, and the restrictions placed on them. They often worked from 5am – 9pm (a bit like being Lord Mayor- only shorter hours). And if undertaking an unregulated Apprenticeship, then training was, at times, non-existent. The majority of Apprenticeships were filled by boys. Girls were usually placed in gendered Apprenticeships, such as housewifery. The Poor Law prevented social mobility, by providing poor children with Apprenticeships in low-status roles. Meanwhile, boys from more affluent backgrounds received the best training and parents bargained for shorter Apprenticeships. As a result of these issues and others, the 1802 Health and Morals of Apprentices Act was passed....and, eventually, the original Statute was abolished in 1814. Since then, as you all know, we have seen many more changes. However, by 1990 the number of apprentices had dropped to just 53,000. A fall of nearly 300,000 per annum. At this time, Apprenticeships in the UK differed from European Apprenticeships, due to the lack of final examinations and Government involvement. Economic recession in the early 1990’s. Sharp increase in youth unemployment from 10% to almost 18%. In 1993, the Government announced the creation of Modern Apprenticeships. Modern Apprenticeships ensured that apprentices were viewed as members of the workforce and that they were paid a salary. Now, I can image that many of us in the audience today may not have been ready for full-time employment at 16 or 17. With this in mind, the first pre-Apprenticeship programme was introduced – titled “Foundation Modern Apprenticeships”. Intended to open up the Apprenticeship route to a wider selection of young people. Interestingly, unlike today, the majority of employers of Modern Apprentices were small firms, and there were very few employers with more than five apprentices. In the late 1990s and early 2000s, the needs of business were very similar to today: they were keen for potential employees to demonstrate a combination of both work and training. This is what the Foundation Modern Apprentices had hoped to deliver. Despite these improvements, Modern Apprenticeships were not able to achieve the success of the earlier Pre-modern Apprenticeships. These peaked at just under 200,000 (193,600) in 2003/4, in comparison to 340,000 apprentices per year under the pre-modern system. This was clearly a disappointment to Government, and they launched The Modern Apprenticeship Taskforce, which aimed to review the issues. Widening the age range of Apprenticeships from 16-25 to age 14 plus. From this point forward, we began to view Apprenticeships not simply as a method of providing introductory training to our young people, but also as a useful means of up-skilling the existing workforce. Enabling those who might wish to change career at a later stage in life, to do so. As you know, in 2008, the UK entered a recession which resulted in mass job losses. This made the job market extremely competitive, and difficult for young people to enter. The following year, in 2011, analysis revealed that the median Apprenticeship wage was 25 pence shy of the National minimum wage – which was £6.08 per hour. This was again reflected in the 2014 Apprenticeship Pay Survey. At this stage, I would like to refer to The City of London Corporation’s “The City’s Business” – which you can find on your seats. One of the issues highlighted in The City’s Business is the cost of an unpaid internship, which was £926 per month in 2014 according to the Sutton Trust – and has since increased. As a London Living Wage accredited employer, the City of London Corporation pays its apprentices the London Living Wage.....and advocates this wage being rolled out at every level. Business benefits include: reducing turnover; increasing morale and loyalty; reducing absenteeism; improving productivity; strengthening recruitment opportunities and providing reputational benefits. The Apprenticeships, Skills, Children and Learning Act of 2009 – stating an intention to “make reasonable efforts to ensure employers participate in Apprenticeship training”. The Higher Apprenticeship Fund of 2010, to fund 20,000 Higher Apprenticeships. The introduction of New Apprenticeship minimum standards in May 2012, in The Statement on Apprenticeship Quality. The introduction of Access to Apprenticeships, and then Traineeships, to help targeted groups of young people into Apprenticeships. This concentrated effort led to a second peak in 2011, with 521,000 apprentices starting their Apprenticeships. However, in 2012, the Richard Review uncovered persistent issues in Apprenticeships delivery. Employers increasingly recruiting older apprentices, and therefore failing to address the high rate of youth unemployment. Apprentices often being employed already when beginning their Apprenticeship – and the training, therefore, not supporting the earliest entry point to a career. A lack of higher level Apprenticeships. Employers offering “up-skilling” or “accreditation” programmes for existing workers, rather than ‘Apprenticeships’. Ongoing disagreement about who Apprenticeships should benefit – are they just for the young, or for everyone? Please raise your hand if......you think Apprenticeships are a good idea? Please raise your hand if........you would encourage your child or relative to do an Apprenticeship? Read about the Government’s 3 million Apprenticeship target, to be achieved by the end of 2020. Viewed recent GET IN, GO FAR adverts on TV and online. Or....Heard about the upcoming Apprenticeship Levy. We are in a period of extensive Apprenticeship change. Before becoming Lord Mayor of the City of London, I was appointed to the UK Government’s Apprenticeship Delivery Board. It is a position I hold with pride, and whose important work I am committed to promoting from the Mayoral platform. To answer this, let me reflect on four of the current challenges facing our communities, and our wider society. In some parts of the UK, youth unemployment remains persistently high. And you may be particularly surprised to learn that London, for example, currently has the highest rate of youth unemployment in the UK....at 19.2%. I mentioned earlier that, in 1993, the Conservative Government implemented a number of measures to assist young people into work when the unemployment rate reached 18%. Apprenticeships were a core part of these efforts – traditionally used to equip young people with the skills and work experience they need to join the workforce. And Apprenticeships can continue to play a crucial role, in filling this gap. The Confederation of British Industry (CBI) stated in their 2016 Education and Skills Survey, that the skills employers felt young people lacked most, were business and customer awareness. Both of these can only be developed through experience of work, experience which Apprenticeships can provide. Back in the 1600s, the Poor Law had the effect of preventing social mobility. Today, research by organisations such as the Social Mobility Commission, reveals that institutionalised prejudice and societal inequality are key factors in preventing social mobility. This presents a real problem for UK businesses: a report by McKinsey & Co states that the more diverse the workforce, the more successful the company. So a lack of diversity in socio-economic as well as cultural, racial and religious backgrounds, may well be holding businesses back. Of course, Apprenticeships can be used as a tool to support social mobility – given the fact they are generally offered at a low level, with potential for quick progression. However, this does depends on the employer creating the right opportunities for apprentices to move up through levels of training and employment. But here’s an important fact for you – listen up! The earning potential for those with a Level 5 qualification (equivalent to a Foundation Degree), is £50,000 more over a lifetime, than someone with a degree from a non-Russell Group University. For young people from disadvantaged backgrounds, Apprenticeships surely provide an excellent way to avoid student debt – whilst also increasing earning potential, over and above peers who followed more traditional routes into careers. Businesses can help further by broadening recruitment practices through techniques such as “Blind CVs” – that is, the practice of removing names and personal information from CVs in order to prevent sub-conscious bias by recruiting managers, and ensure exemplary candidates from less familiar channels are given an equal shot. In recent years, we’ve seen an increase in both skills shortages and skills gaps. What’s the difference? Well, “skills shortages” occur when there are not enough candidates with the right skills for a job vacancy. Meanwhile, a “skills gap” occurs where existing employees do not have the relevant skills to carry out an identified role. The 2015 UK Commission of Employment and Skills Employer Survey reported that; “Skill-shortage vacancies were caused by a considerable lack of people-skills, personal-skills, technical-skills and practical-skills, amongst applicants”. Industries with the highest proportion of skills shortages are those which require technical qualifications. This is unsurprising, given the fact that only 10% of people in the UK hold higher level technical qualifications. Apprenticeships can help solve both of these issues. For example, in order to fill the skills gap in Information Technology, a number of organisations such as The Tech Partnership and The Chartered Institute for IT are developing a number of innovative and targetted ‘Digital Apprenticeships’. Other industries are also seeing the potential of Apprenticeships to fill their current and impending skills shortages. For example, the recently launched Nursing Apprenticeship was developed with skills shortages in mind. And in the coming months, funds from the Apprenticeship Levy will be made available to SMEs and employers with fewer than 50 employees. This means that 100% of the training and assessment costs for 16-18 year old apprentices will be covered, and SMEs will pay a maximum 10% contribution. Employing and supporting young people in this way, is surely an excellent, effective plug for the digital skills gap. They are, after all, aptly named “digital natives”, as they have grown up with the rise of digital technologies. Skills shortages and gaps relate directly to the growing need for higher skilled workers – not least, in areas such as compliance and technology. However, due to a range of factors, our graduates fail to fill these roles and 45% end up in roles which are not high-skilled. One of the key issues which the Apprenticeship Delivery Board seeks to address is the need for highly skilled workers, which can be resolved through the development of higher level Apprenticeships including Degree and Masters-level Apprenticeships. As a result of the Board’s attention and advocacy, the Government is now supporting development of more high-quality degree-level Apprenticeships – to begin by 2020. And Government has also green-lit Master-level Apprenticeships. This will enable businesses to provide current and potential workers with the opportunity to up-skill, and help resolve the need for high skilled workers. (Informally, our target number of degree-level Apprenticeships is 15,000 per year). One of the methods which businesses are currently using in order to fill skills shortages and gaps is employing Non UK European workers. However, with Brexit on the horizon, businesses are concerned about finding workers with the skills they require. Although a number of suggestions have been made on how we can resolve this issue, including bespoke visas for international talent to support priority sectors in different regions, nothing has been decided as yet. And bespoke visas may not prove to be the easiest method of meeting recruitment needs. The only thing about which we can be certain, is that by leaving the European Union and reducing or removing the free movement of people, we will need to address, ever more vigorously, the upskilling of our home-grown talent. Despite the urgent demand for skilled workers in sectors such as technology, we are failing to attract half the population. Women currently only account for 17% of IT professionals. And research by the Chartered Institute of IT reveals that, although female take-up in IT is lower than for men from an early age, this continues to decrease, as girls get older. Apprenticeships can help provide more women, as well as men, a route into technology at an earlier age – increasing the talent pool for later careers in this critical industry. We must keep in mind the dynamics and demographic of our changing workforce. In recent years, multiple studies and books have been published which explore how employers might better engage the “new” millennial workforce – people lucky enough to have been born between 1980 and 2000. Research by PwC shows that these ‘Millennials’ dislike rigid corporate structures and information silos. They desire rapid career progression, continued learning opportunities, a varied and interesting career and constant feedback. In short, they are quite different to people of my generation – and older managers are not always quite sure how to manage them! Apprenticeships support millennial requirements. They facilitate continuous professional development, varied and interesting roles, and regular feedback. But don’t just take my word for it – a 2015 survey by the Skills Funding Agency revealed that 59% of employers found that apprentices were more loyal and stayed longer than other recruits. As technology sprints forward, automation is utilised more frequently in order to cut costs and increase accuracy in mid-level roles. A report by Deloitte and Oxford University predicts that automation will replace one third of jobs in the next 20 years. Apprenticeships can help prepare our young people for this rapid and inevitable transformation in the working environment, by equipping them the skills which employers need most. Although the Adult Skills Budget continues to shrink, Government has devolved the allocation of that budget to local authorities. This provides an opportunity to target resources where they are needed most – although there are also real risks with this strategy, and we will ultimately see reductions of the Adult Skills Budget for some sections of local industry. For the sectors which may face a cut during the devolution process, access to funding through the Apprenticeship Levy (more on that later...), will mean that businesses across all sectors will be able to up-skill existing and new employees. Big businesses are better able to implement a number of measures in order to resolve skills gaps and skills shortages, such as offering higher rates of pay. However, SMEs are more limited in what they can offer potential staff in highly competitive work sectors. As a result of this, SMEs often have extreme difficulty filling high-skilled roles. Apprenticeships can assist SMEs in their bid to recruit the talent they require. By offering Apprenticeships, they can up-skill their current workforce or, alternatively, appeal to millennials with an Apprenticeship offer. A whopping 75% of apprentice employers say the programme cuts recruitment costs, and asks what’s not to like?! We also have a productivity gap. Output per hour worked in the UK is 18% below the average of the remaining G7 countries. This issue can be solved, at least partially, by apprentices. With the average apprentice – on completion of their Apprenticeship – increasing business productivity by £214 per week. And yet....despite this clear business case, only 8% of London’s firms have an Apprenticeship programme. And as a member of the Apprenticeship Delivery Board, I am aware that this may be, in part, due to outstanding issues with Apprenticeships – to be urgently addressed. There are number of new standards which do not have registered assessors…along with others which do not have a definitive final assessment measure. We need to improve the rate at which Apprenticeship standards are improved. At the current rate, many in the technology sector have argued that the standards will be obsolete by the time that they are implemented. This is of grave concern and needs to be future proofed. For my part, I will be urging the newly formed Institute of Apprenticeships to impose measures to ensure that new standards are approved at a quicker rate. Many SMEs are unaware that they can tap into the Apprenticeship Levy pot. It is important that policy makers are engaging SMEs and making them aware of the opportunities presented by the Apprenticeship Levy. There is a concern that a number of businesses will use Apprenticeship Levy to top-up the skills of their current workforce. Although we encourage the use of the Apprenticeship Levy as a mechanism to upskill our society, we also want to ensure that the Levy targets youth unemployment and diversity. Let me assure you that there are a number of measures which are currently in development to resolve many of these issues. And I would encourage you all to contribute to the Apprenticeship debate – give us, the Board, the benefit of your own experiences and expertise, in identifying the challenges and opportunities. We need to hear from you! At events such as this one, or by engaging in the various consultations being held by Government. First, Policy makers – It is an enormous pleasure to work with some of you through my role on the Apprenticeship Delivery Board. It is essential that we continue to listen to one another and ensure that measures are in place to resolve the short-comings of the up-coming reforms (and I am among the first to declare that there are short-comings). It is important that we work together to ensure that the new Apprenticeship standards and Apprenticeship Levy provides a system which works for all. Second, Businesses – We need more of you to embrace the fantastic opportunity that the reforms pose to your organisations. If you have had concerns regarding: skills shortages, skills gaps, diversity, and competitiveness, I encourage you to turn towards Apprenticeships as a potential means to combat these issues. I especially want small and medium-sized enterprises to feel part of this reform process. You were the driving force of the Modern Apprenticeships programme and Government has purposefully provided you with access to Apprenticeship Levy funds to assist you in become a driving force for Apprenticeships once again. Third, Training Providers – You continue to ensure high standards for the young people who come onto your programme. It is essential that you work with businesses to ensure that the quality of our education system is maintained. When working with businesses under the new Apprenticeship measures, you should have no fear of ‘pushing back’ to ensure the success of the young people whose education is placed in your care. .......and consider whether an Apprenticeship would provide a faster and more cost-effective route to a chosen career. As I stated earlier, and as has been proven beyond doubt, Apprenticeships receive progressive opportunities which are equal to – and often better than – university graduates. Fifth, Teachers – You have the privilege of developing the minds of our young people. Because of this, the information, advice and guidance that you provide to them is of great importance. As Teacher myself (a Music Teacher in every sector and style of school, and now as a Principal), I am well aware of the challenges you are facing at a time of significant change to the curriculum. It can be difficult to look beyond the final grade...or level…but we must. When teaching, I always like to find parallels to the world of work, in order that our young people gain an insight into how the skills they develop today could be used to build a successful career tomorrow. We must listen to the particular needs and interests of our young people and provide them with insight into every option and every route into employment. Schooldays represent such a short period in young lives. It is surely in all our interests to support the aspirations and abilities of young adults – enabling and equipping them to take their place in fulfilling careers. Which brings me to my last – but by no means least – group of people. Sixth: Young people! For any who are here today, and for any who will watch or read this lecture later. You are living in a time of rapid development and change – economically, industrially and socially. New technologies, educational reform, rising populism and economic uncertainty. As our future employers and employees; I urge you to make decisions based on future job projections and clear careers advice. I encourage you to grasp every opportunity for work experience, mentoring and careers related activity. And I advise you to make a concentrated effort to develop your communication skills and interact with people from all walks of life. These are the skills, and this is the experience, which underpin and enhance your academic education. And the well-rounded experience gained from practical, training-led education – as afforded by Apprenticeships – will support you into a socially mobile and prosperous career.